Why isn't Stacie the Bartender in this photo? I demand justice! If you read this blog, then you know that I am a little obsessed with The Hills. In particular I’ve always been fascinated with show’s peculiar brand of unreality. But when the sixth and final season of The Hills premiered on April 27, the show’s mode of address appeared to shift. While earlier seasons of the series existed at one move away from reality, with cast members clearly performing their roles and hitting their assigned marks, the season six premiere actually felt real. For five seasons Adam DiVello successfully kept the world outside of The Hills separate from the world inside The Hills: Lauren Conrad never mentioned her clothing line while she cried over lattes with Lo at some trendy L.A. eatery and Heidi Montag, God love her, never mentioned her singing “career” on camera. But when Heidi’s massive breasts and chiseled jawbone appeared onscreen in the season six premiere, it must have been clear to DiVello that the bizarre, paparazzi-filled, fame-mongering lifestyles of his cast members could no longer be distinguished from their seemingly isolated,”normal,” onscreen personas. Heidi Montag and her grotesque plastic surgery broke down the wall between diegetic and extradiegetic and the result was some pretty fantastic television. At last The Hills was addressing its impact on its own cast. It was as if a reality show was not just admitting that the reality it captured was not real — it was admitting that the reality it captured was profoundly warped by the very fact that it was being captured. Don't look at me, I'm hideous! Rawr! I thought that was a fairly tidy conclusion. But the problem was that I came to this conclusion after only two episodes of the new season had aired. Soon after that, Spencer and Heidi disappeared from the show. The moment these two cast members exited the show, the diegetic once again split from the extradiegetic. My thesis — that The Hills was becoming self-referential and even critical of the reality TV machine — was effectively disproven. Ooops, my bad. Why was Speidi’s exit so momentous and so disappointing for a fan like me? Why did it destroy my thesis? 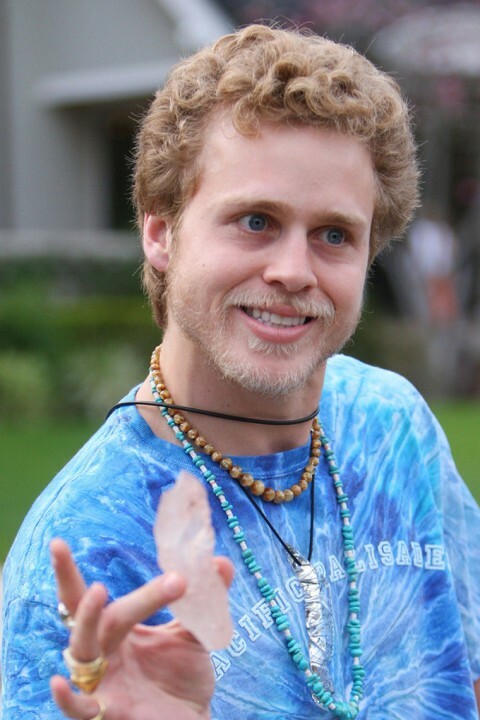 Avid readers of tabloids knew that Spencer Pratt was kicked off the show for threatening one of the show’s producers and for his anger problems in general. Since Heidi’s biological functions are controlled by a small, external remote that Spencer carries at all times, she naturally had to leave the show as well. My craziness is signified by my early 1990s fashion choices. It would have been fascinating if the real reason behind Spencer’s exit had been addressed within the show — that he was simply too dangerous to keep on the set. But DiVello was clearly not ready to relinquish that kind of control. He was forced to acknowledge his young casts’ extradiegetic lives but he was not going to acknowledge that The Hills was a show. Instead, the episode, “This is Goodbye,” featured lots of scenes in which people who have no interest in Spencer and Heidi, like Lo and Kristin, sat gravely with people who do have a lot invested in the couple, like Holly Montag and Stephanie Pratt. While Lo feigned interest and compassion (something Lo does exceptionally well), Holly and Stephanie cried rivers of black mascara over the televisual death of their siblings. Their conclusion? No more contact with Spencer and Heidi until they stop being crazy (good luck with that, ladies). The ladies in happier times. After this episode, Speidi disappeared from the world The Hills, effectively cleaving it back into two parts: the constructed world before the cameras and the real world outside of the cameras. Naturally, the cast members resumed their emotional detachment: Kristin pretended to pine after Brody Jenner (really? Brody Jenner?) and bland Audrina pursued and then ended a bland relationship with bland Ashlee Simpson Show alum, Ryan Cabrera (yes, the show always referred to him as “Ryan Cabrera.”) With the exit of Speidi — that Tasmanian devil of emotional instability — The Hills once again became boring and emotionally detached. Simpson with old nose, Cabrera with old hair. The emotional complexity first witnessed in the season premiere did not return until the penultimate episode, “Loves Me Not,” when Heidi’s mother, Darlene, flies to L.A. for a visit with her daughter, Holly. Darlene is anxious to see Heidi and Holly frets over her inability to locate her sister. It is clear that Holly not only misses her sister, but is also distraught over her mother’s pain and her own powerlessness in the situation. Over lunch Darlene admits that she hasn’t slept in months and has been force to take prescription sleeping pills because she is so distraught over her daughter’s absence. “I’ve been mourning the loss of a child,” she tells Holly. Both women cry. And yes, so did I. Because the whole Heidi story is truly sad. The pursuit of the spotlight has resulted in the loss of her fledging career, her good looks, and most tragically, her family. It is difficult not to compare Darlene’s and Holly’s weeping in this scene with Kristin’s own “breakdown” at the end of the same episode, when Brody Jenner tells her that does not in fact love her. Maybe it’s because Kristin is not skilled at emoting (she’s no Lauren Conrad) or maybe it’s because I have the extradiegetic knowledge that she’s dating one of the show’s cameramen, but I could not buy into the “emotion” of this scene. I do not believe that Kristin “loves” Brody. Notice how I have to put quotation marks around everything? But, but, I thought you loved Brody! Lo: Totally! Blah blah blah. Audrina: Like, for real. Blah blah blah. Stephanie: I know, right? Blah blah blah. Brody: Bro! Blah blah blah. And then, there’s that final scene. As Kristin drives away from Brody and Brody stands there pretending to look forlorn (or constipated? ), the camera cranes backwards and the sunny California backdrop turns out to be an actual backdrop that lifts up to reveal … wait for it, wait for it … CAMERAS! Do you mean to tell me that these people have been followed by cameras this ENTIRE time? That the The Hills is a TV SHOW?!? I thought Kristin, Lo, and Audrina were just really tiny people who crawled into the box in my livingroom every week! This entry was posted in Television and tagged Brody Jenner, Heidi Montag, Holly Montag, Kristin Cavallari, Lauren Conrad, Lo Bosworth, Spencer Pratt, Stephanie Pratt, The Hills, The Hills Finale.